How Effective Is China's New Anti-Stealth Radar System, Really? According to recent reports in the Chinese media, China is betting that its new DWL002 passive detection radar system will grant its armed forces a massive boost in countering the United States’ advanced stealth fighters. According to a report in Defense News, Chinese sources claim that the radar will render systems like the advanced F-22 fighter and the upcoming F-35 “obsolete” — a strong claim to be sure. The DWL002, if it lives up to its touted capabilities, would severely hamper stealth fighter-based attempts at establishing aerial control over Chinese territory provided Chinese air defense systems are operational. Anti-stealth radar technology would play an important role in allowing the Chinese People’s Liberation Army (PLA) to effectively counter parts of the United States AirSea Battle operational concept, for example. Part of the effectiveness of AirSea Battle relies on the U.S. Air Force and Navy deploying long-range stealth-based air platforms. With the DWL002 ELS, Chinese air defense systems would be significantly more effective at detecting hostile stealth aircraft. Another feature of the DWL002 that has drawn some attention from the Chinese media — notably the Global Times, according to WantChinaTimes — is its ability to track aircraft without notifying pilots that they have been detected by radar. 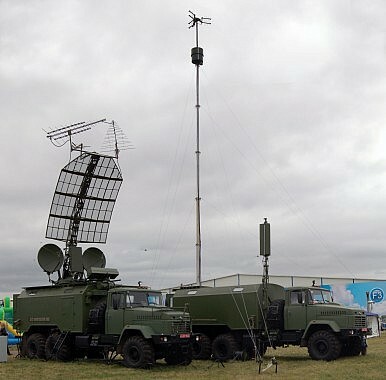 Furthermore, according to Vassily Kashin, senior research fellow at the Center for Analysis of Strategies and Technologies, a Moscow-based think tank, the DWL002’s capabilities are not being exaggerated and pose a serious threat to stealth platforms. Other sources are less convinced of the DWL002’s actual capabilities. According to a technical report by Air Power Australia, an independent defense think tank, the key innovation that sets the DWL002 apart from its other ELS predecessors is its use of “paired primary wideband apertures, displaced in elevation.” Based on the report, this seems to be extent of the DWL002’s capacity to impress. That report further emphasizes the DWL002’s height-finding capabilities more so than its explicit anti-stealth capabilities. The Air Power Australia report is widely skeptical of claims that the DWL002 and other variants on Soviet-era passive detection systems are technically capable of what is often touted, i.e. China hasn’t “solved” anti-stealth just yet. In general, however, passive detection radar systems will likely benefit from the increasingly signal-heavy nature of U.S. military aviation technologies — the systems work by constantly listening for and detecting electronic emissions. U.S. fighters — especially the upcoming F-35 — could have incoming and outgoing signal traffic detected by this system (although the more data-heavy Multi Function Advanced Datalink runs only when the aircraft is in low observable stealth mode). Overall, the DWL002 is likely less of a threat to contemporary U.S. stealth aviation than recent reports would suggest. In the meantime, it should be noted that China isn’t putting all its eggs in the anti-stealth technology basket. In addition to defensive investments in anti-stealth, China has long been proactive about developing its own stealth aircraft. Recently, a full-scale model of China’s Shenyang J-31 stealth multirole fighter appeared on a PLAN carrier mock-up, prompting speculation that China is looking to deploy its own stealth jets at sea. Additionally, the Chengdu-20, a stealth air superiority fighter, is also under development and is expected to be operational later this decade.